Candy White exterior and Cornsilk Beige interior, TDI w/Sunroof & Nav trim. 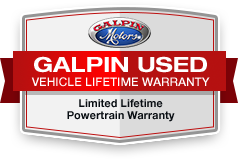 Moonroof, Nav System, Heated Seats, Bluetooth®, CD Player, Keyless Start, iPod/MP3 Input, Panoramic Roof, Aluminum Wheels, Satellite Radio, Diesel, Comes with Galpin's Lifetime Used Car Warranty, New Tires, "SportWagen interior is equal to that in cars costing thousands more. Solid, soft-touch materials abound." -newCarTestDrive.com. All figures are EPA estimates. Actual mileage will vary. Kelly Blue Book values are calculated based on the current Retail Book. Pricing analysis performed on 3/27/2019. Horsepower calculations based on trim engine configuration. Fuel economy calculations based on original manufacturer data for trim engine configuration. Please confirm the accuracy of the included equipment by calling us prior to purchase.